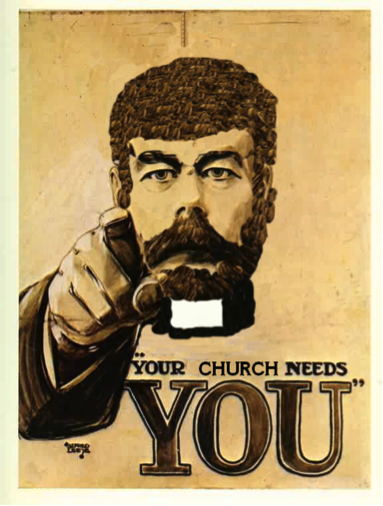 Is God calling you or someone you know to play a leadership role within our church? At our Annual Parish Church Meeting on April 3rd, we need to elect 4 people to our Church Council to serve a 3 year term. Could God be calling you to this important role? Who could you be encouraging to serve in this way? Why is the Parish Church Council important? The PCC is responsible (with the vicar) for “promoting the whole mission of the church: pastoral, evangelistic, social and ecumenical”. In practise, the PCC is responsible for discerning the vision and direction for St. James’ by the Park, and making major decisions to help bring that vision to fruition. The PCC is the legal governing body of a Church of England parish. As such, it also has various legal duties with regard to our buildings, finances, paid staff and safeguarding procedures. However, we don’t expect PCC members to be an expert in any or all of these areas! Who gets to be on the Parish Church Council? What sort of people should stand for election to PCC? Vision and leadership: We need people who can grapple with big issues and help make tough choices, helping us continue to discern God’s vision for our church, and the strategic priorities we need to move us forward. Gifts and experience: None of us have all the gifts needed to lead a church, which is why the New Testament speaks of teams of leaders. We need a variety of gifts to make a rounded PCC. We need people who are willing to challenge our thinking, to contribute to discussions, preferably from a variety of backgrounds (age, gender, class, nationality etc). Attitude: All of us have personal preferences for how a church should run, but PCC members need to put those aside to discern the corporate responsibilities the Lord is calling us to have as a community at this point in time. Christian leadership is about service. Legalities: Candidates for election must be 16 or over to be a PCC member. PCC members are considered ‘trustees’ by the Charity Commission, meaning that some criminal convictions bar people from holding this office. All PCC members must undergo Safeguarding vetting through DBS checks. What sort of things will the PCC be discussing? Mission: We will need to review our external mission partnerships in the light of our mission focus areas. We also want to play our part within the bigger diocesan strategy (all the Anglican churches in the diocese of Winchester), and will finish updating our 'parish mission action plan' to fit in with what else is going on in Southampton. Leadership: we need to think about how we can clarify leadership roles and expectations across the church, and encourage more people into leadership. Buildings: this year, we need to decide who to sell St John's to, and to make significant progress working out options and plans for St James and the Parish Hall. Finances: we need to keep a close eye on our income levels, making sure that we don't spend more than we've got! What is expected of a PCC member? The pattern for PCC meeting is normally one Saturday day-time meeting and one Monday evening meeting each term. Members are expected to prayerfully read through any papers related to the agenda before each meeting, and to contribute constructively to the discussion and decision-making process. Some PCC members also serve on various task groups (eg overseeing our external mission partners, or working on communications). Some also act as a ‘PCC link’ to individuals on the church staff team or to one of our 7 mission focus areas. If you feel the Lord is prompting you to stand, speak with existing PCC members or the church wardens or clergy to gain more understanding of the role. Ask others whether they would be willing to propose or second you. If you can think of someone else who would be a good PCC member, approach them, or suggest them to the wardens. Completed nomination forms should be returned to the church office by Monday 1st April. The elections will take place at our Annual Parish Church Meeting on Wed 3rd April (you don’t need to be present to stand). The first meeting of the new PCC will be a meal on Mon 29th April, followed by a day away on Sat 18th May and an evening meeting on Mon 8th July. We expect PCC members to be present at most of the meetings.